Love It Lawns products are designed to the highest specification to ensure that you shouldn’t have a problem with your artificial grass and all of our products come with a ten year guarantee. However, please take the time to go through the below to ensure you are happy with the guarantee before placing an order with us. Domestic Animal Damage – any damage created by domestic animals such as cats, rabbits, dogs or any other domestic animals kept. Wild Animal Damage – any damage created by wild animals such as foxes, badgers, moles or any other non domestic animal. Any unusual garden growth after the product has been installed. This includes Bamboo, Japanese Knot Weed, Tree related growth that has not been excavated successfully, Mare’s Tail and any other unusual garden growth. Any damage from an individual, whether accidental or through vandalism. 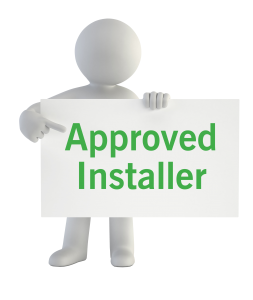 Any damage caused by an improper installation, whether it be through sub base failing or drainage issues. Any burns or discolouration from glass or mirror reflections. Any product damage that has been caused by products not sold by us, ie bleach and other cleaning products that we deem unsuitable. Any unsuitable footwear that can penetrate the products. Any damage caused by vehicles entering on to the product.